Yes, I had to say it is the Best Salmon Rub Ever…because it just is 🙂 My husband used a recipe about 15 years ago, but added a little bit more of this, some different that, and our friends started calling it “Matthew’s Delight”, asking him to cook it when they came around. So here I am sharing the ‘ol secret recipe! Actually, as the saying goes, “There’s nothing new under the sun,” but it’s one of our dishes that my kids jump up and down for when I say it’s what’s for dinner. I like to keep it simple (of course), so I actually make up this recipe x3 and keep it in a jar in my cupboard. Then it’s ready to go. Usually in the winter we will have steamed brown rice and stir fried broccoli cooked with ghee instead of oil. In the summer I may put a piece of foil on our grill and grill the salmon next to fresh asparagus, lightly salted (I could eat that stuff like candy!). Mashed potatoes are always good with salmon too. An amazing rub that brings out the flavors of the juicy salmon, while giving it a nice outside crust. Combine all ingredients and store in airtight jar. Rub onto both sides of thawed or fresh salmon. Heat large skillet over medium heat and add 2-4 Tbsp coconut oil. After oil is melted and skillet is hot, gently lay salmon flat. Grill 3-5 minutes each side (depending on thickness). You will see that it is no longer bright pink, but a more opaque whitish pink. Do not over cook. Serve immediately, bringing extra lemon juice to the table (we like the added zing from the lemon). What’s your favorite side dish with salmon? This looks and sounds amazing! Definitely putting it on my list to make next week. I already have everything I need except the fish! Score! 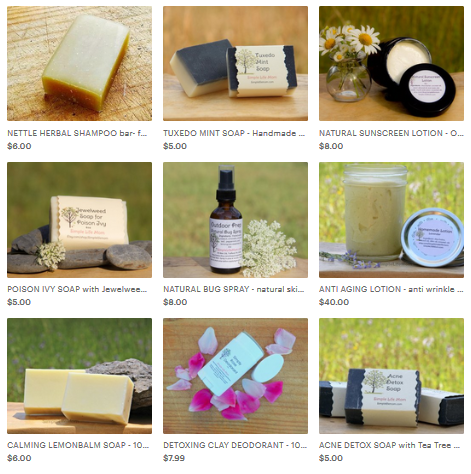 Visiting from Thank goodness it’s Monday linkup. Have a great day! Thanks Danielle. Hope you enjoy. This sounds wonderful and I have been looking for something to use as a rub for salmon that was not carby. I can’t wait to try this one out. Thanks for sharing. Thank you Nicole. We really like it! I love, love, love salmon and I’m always looking for new ways to prepare it. This looks delish. 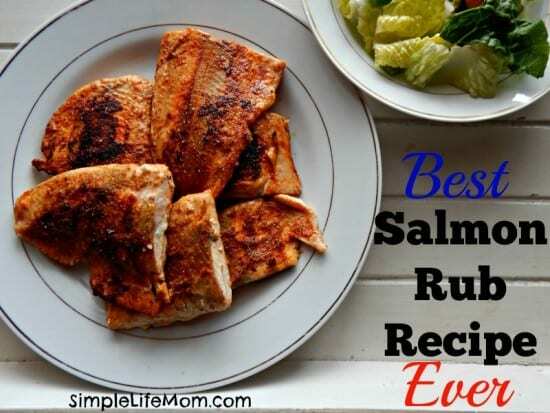 Always looking for a new salmon recipe, as we eat it all the time here in Alaska! This looks tasty! This looks great, Kelly. We are eating more salmon, so I will definitely give it a try. 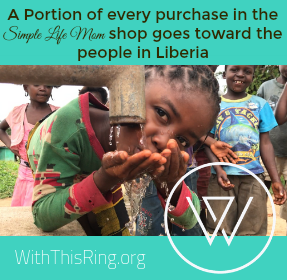 Thanks for sharing with the Let’s Get Real Party. I am pinning this to our group Pinterest board. I love salmon and this is seriously making me hungry… 🙂 Thanks so much for sharing it with us at Savoring Saturdays! I will be trying your Rub, it looks great! Happy St. Patrick’s Day and thanks so much for sharing with Full Plate Thursday! We’ll than you Miz Helen 🙂 My kids were just asking for it again tonight. 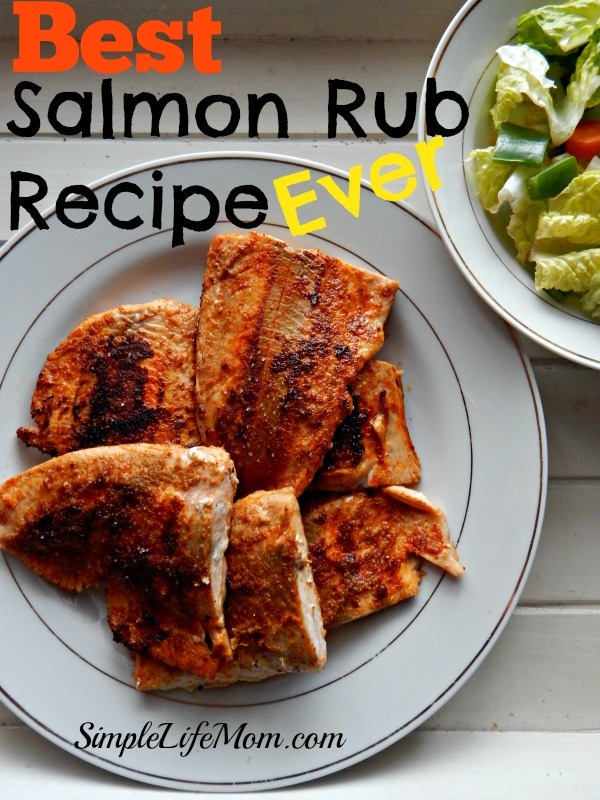 We all love salmon around here and I am definitely going to use this rub! Does this come out good in the oven as well?